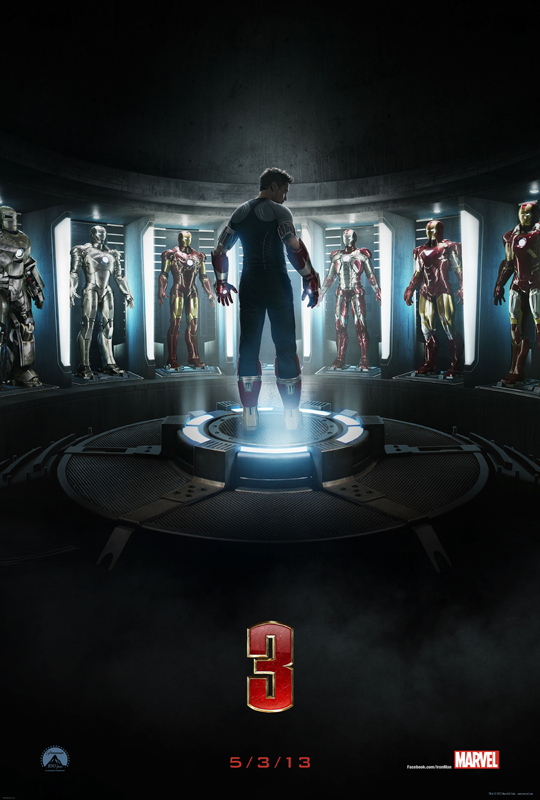 Iron man 3 is one of my most anticipated films of 2013, completely forgot to review the trailer because I am an idiot but better late than never. 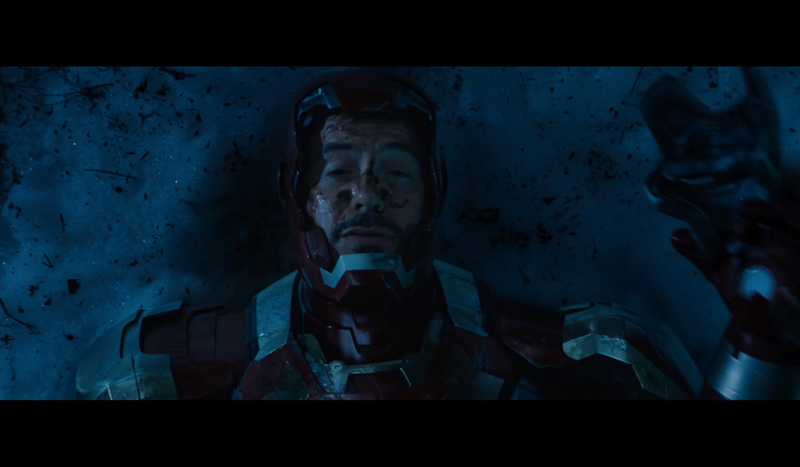 The trailer starts off with a clear view that Stark has been defeated both physically and mentally as he collapses on to the snow and reveals his beaten face, but after this the monologue describes needing forgiveness and how the events in new York had changed things. What I assume this means is that he now knows he is no longer in control as he discovered in new York, meeting an Asgardian demi God and fighting an alien army has shaken what he thought he knew about the world. Whether or not this new Iron Man is going in a darker direction or not it certainly is becoming more realistic with its good vs. evil and giving Tony Stark the same loss as in the cave of the first film. Until this trailer I was dreading just another Iron Man 2 which was disappointing but now after the first trailer I am at ease, the evidence of marvel’s phase two film directions is clear under the observation from Joss Whedon and having a new director Shane Black whom I am a fan. I just can’t wait and will be first in line to see it. If you’re going to have Mandarin in an Iron Man film then you have to do it right, thankfully he looks pretty good. Got the whole beard and robs and even a throne. I am also very glad they went for a good actor for the role and Ben Kingsley is a great choice. 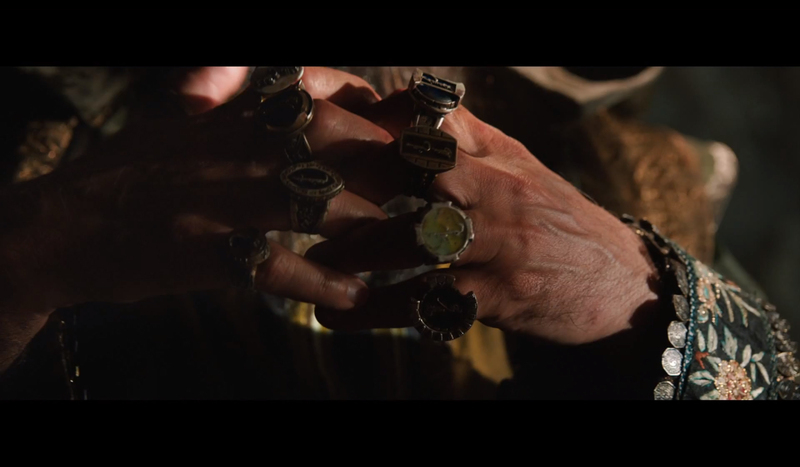 I am surprised they included the ten rings of power as it is a mystical power and this hasn’t been explored very much in the Marvel cinematic universe, only with Thor has it had a very small role. This new armour is clearly going to be the extremis armour from the comics but more importantly is the new connection between Stark and the suit going to be causing these kinds of nightmares, after all the question of what makes him a hero the suit or the man has always loomed over the character and I would love to see this explored in the film as I expect it will. In the first film he was forced to make the armour to survive and it was his smarts and imagination that made the suit, this idea was lost in the second film. None of his enemies have ever gone to such personal lengths to attack Tony Stark, and attacking him at his home is going to hit deep but there is something worse I think may happen during this attack. 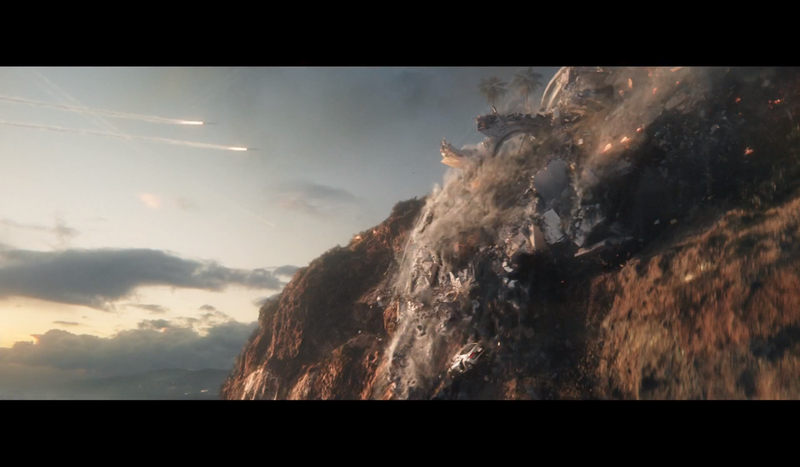 When we see the first missile hit both Stark and Pots get knocked over but you then forget this as the next part we see Tony in his extremis armour and looks nearly die as the house collapses on him as it falls into the sea. Pretty sure Pepper Pots dies in this scene, she may not but Gwyneth Paltrow is not playing the role past this film so it looks pretty likely she’s going the way of the dodo. 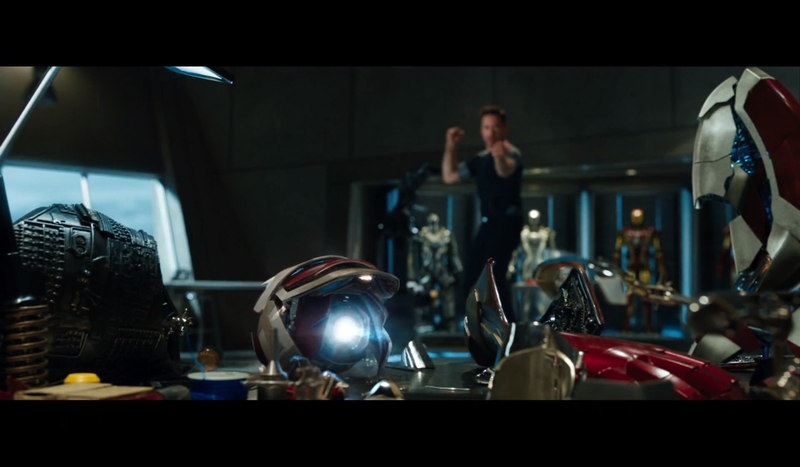 Oh yeah that’s the Extremis Armour, it beckons his call clearly being linked to Tony telepathically. As the films evolve it’s a clever choice to change the suit in different but distinctive ways, and choosing this story arc is very modern and should make for some fantastic Sci-Fi shots. Also from what I have heard the story arc of the Extremis Armour is pretty good. You need to see the hero beaten and bruised, tired and at the edge of defeat. The reason we need this is because we can see them come back from this defeat and claim victory, somewhere between an underdog story and a story of redemption. This is what the Iron man films really need because let’s face it relating to a Billionaire play boy is a little difficult for most people but everybody can understand an underdog and a need for redemption. I expect something good Shane Black so don’t disappoint me. You don’t think that Potts and Happy are going to get married like they did in the comics? I just thought that perhaps Paltrow hadn’t signed on for more only because I suspect this to be the last Iron Man film myself actually. We’ll see. It wont be the last one, I dont see them getting married and Jr. is in for more than just another Avengers film. Looks like it’s going to be good. Awesome supporting cast too. I like the first 2 movies and RDJ but I’m a bit tired of this to be honest, so the trailer is just meh. Curious to see how Shane would do on this and if he could inject something fresh into the franchise. Not a fan of the second one in this series, but two words pulled me back. When I heard Shane Black was attached to the third. I was already in the theater seat. That guy doesn’t get the credit he deserves. Nice post. Digging these reviews. The only reason I care about Iron Man is because RDJ is HOT. I’m all over this movie!!! Bring it on!! !